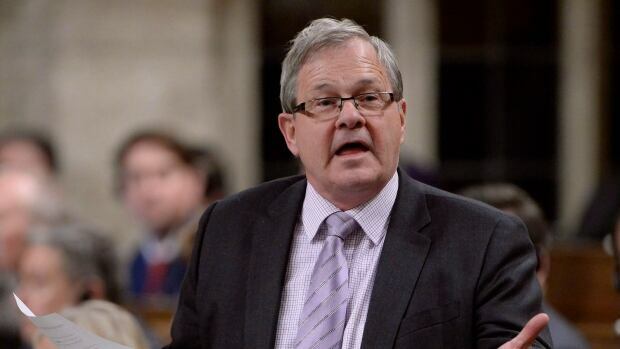 » Cardigan MP Lawrence MacAulay sets sights on improved ferry service for P.E.I. Cardigan’s member of parliament says stable funding for the ferry service to P.E.I. is one thing he was happy to see in this week’s federal budget. The federal government announced $278.3 million over five years, starting in 2017–18, including existing resources, for the continued operations of ferry services in Atlantic Canada. 7 things you need to know about 2017 federal budget for P.E.I. That includes ferries that run between Îles de la Madeleine, Que., and Souris, P.E.I. and between Wood Islands, P.E.I., and Caribou, N.S. One of those ways is lobbying for a new ferry to replace the aging vessels still in use. Service was reduced during the 2016 tourist season to one ferry when the 45-year-old Holiday Island was in dry dock for repairs. While he didn’t come right out and say he was expecting to see money in the federal budget for a new ferry, MacAulay said the government is fully aware of the need for it.